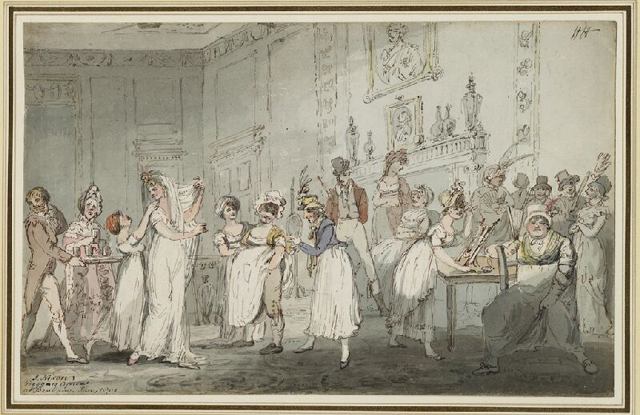 I am very grateful to Jill Kamp for sending me this fascinating and little-known picture of an entertainment at Benham Park, the Berkshire home of Elizabeth Craven, in 1805. It is a drawing done by one of Elizabeth Craven's friends, John Nixon, a keen amateur actor who appeared in many of her productions at Brandenburgh House. This picture shows that she sometimes put on theatrical entertainments at Benham as well. The date, January 7th 1805, is very close to Twelfth Night and this must have been part of the Christmas fun that Craven loved to organize for her house-parties. The singers and actors were all guests of hers, and quite likely many of the musicians were too. 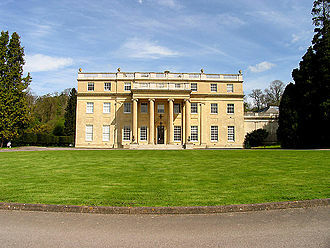 Benham Park. in Berkshire, the former home of Elizabeth Craven, was the venue for a book launch event held last week to mark the appearance of a new literary biography of the late Georgian poet and playwright, Elizabeth Craven: Writer, Feminist and European. The author, Julia Gasper, signed copies of the book and gave a short talk about Elizabeth Craven and her links to Benham, where she lived, wrote, welcomed many famous guests and staged some of her own plays as well as other theatrical performances. Craven was not just bold and adventurous in her travels, but also in her opinions, which were in some ways far ahead of her time. This very unusual painting hangs at Berkeley Castle and is described as The Berkeley and Granard Family Group. 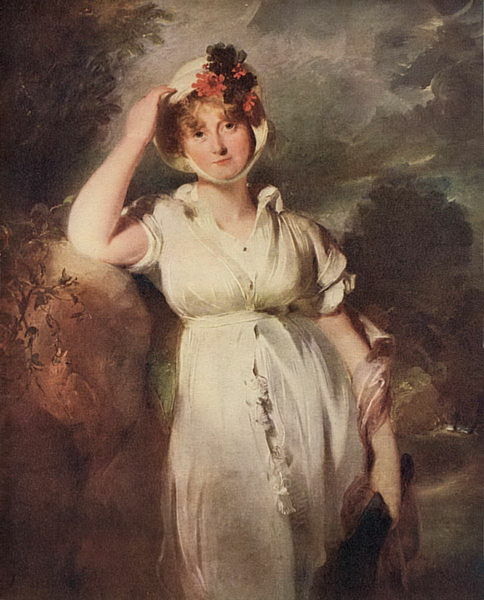 Painted by Ozias Humphry, who did many portraits of the Craven family, both individually and collectively, it is dated 1780. An inscription in the top right corner names everybody in it. 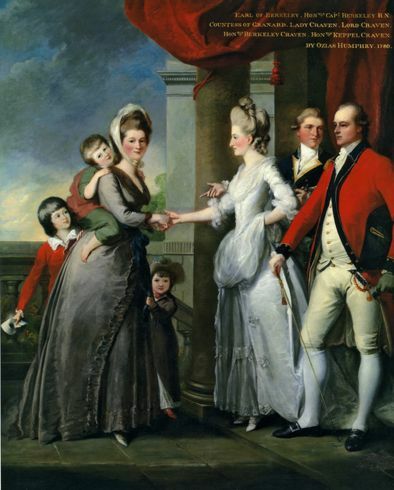 The painting shows us Elizabeth Craven, who was born a Berkeley, in company with her elder sister Georgiana and both of her brothers. And this is not merely a portrait, it is a scene where what is happening is amusing and very typical of Elizabeth Craven. The greatest scandal of the entire Regency period was the behaviour of the Prince Regent towards his wife, Princess Caroline of Brunswick.